ABBAS CARPETS celebrates 4 pioneering decades and introduces ABBAS HOME! 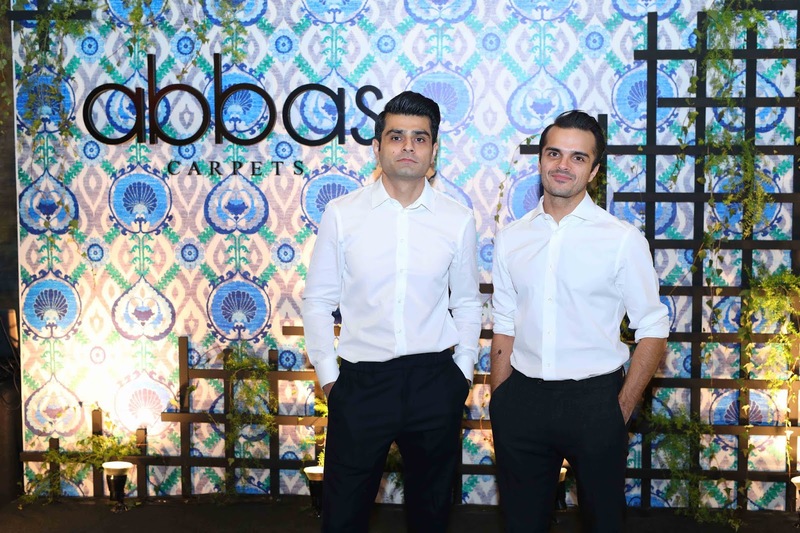 Pakistan’s premium heritage brand ABBAS CARPETS celebrated 40 years of weaving bespoke masterpieces, further introducing their new brand, ABBAS HOME at their design studio in Lahore. A multi-generational family led brand spanning four decades, ABBAS CARPETS embodies the rich heritage of traditional and contemporary worlds, crafting timeless works of art with its artisans embodying a generational legacy of the craft of weaving. Bringing their passion and meticulous attention to quality to a new dimension, Creative Director Haider Abbas Mirza and Marketing Director Ahmad Abbas Mirza introduce ABBAS HOME; design-diverse contemporary home-décor products including sofas, armchairs, coffee tables, side tables, consoles, dining tables, ottomans, chandeliers, lamps, mirrors, cushions and home accessories. In attendance at the launch event were fashion designers Faraz Manan, Maheen Kardar, Mahgul Rashid, Rana Noman, Khadijah Shah, Kamiar Rokni, Zainab Salman, Sana Yasir, Deena Rehman, Arjumand Amin and Maheen Taseer, interior designers Kamran Sheikh and Omer Nabi, international musician and dj Victorien, film actor and musician Ali Zafar, musician Jimmy Khan, sports anchor and journalist Zainab Abbas and media personality. The event was managed by Zareen & Shazreh Khalid Events. Indeed, some of the world’s leading international celebrities have embellished their homes with Abbas Carpets such as Hollywood Actor Jude Law, Grammy Award Winning Artist Taylor Swift, Iconic Musician and Nobel Prize Winner Bob Dylan, Media Mogul Rupert Murdoch, American Fashion Designer Betsey Johnson, Former World Boxing Champion Amir Khan and Bollywood and Pakistani Film Personalities Fawad Khan and Mahira Khan to name a few. Recently, one of the products from Abbas Carpets was also featured in season 3, episode 6 of the famous Netflix & Marvel show Daredevil. 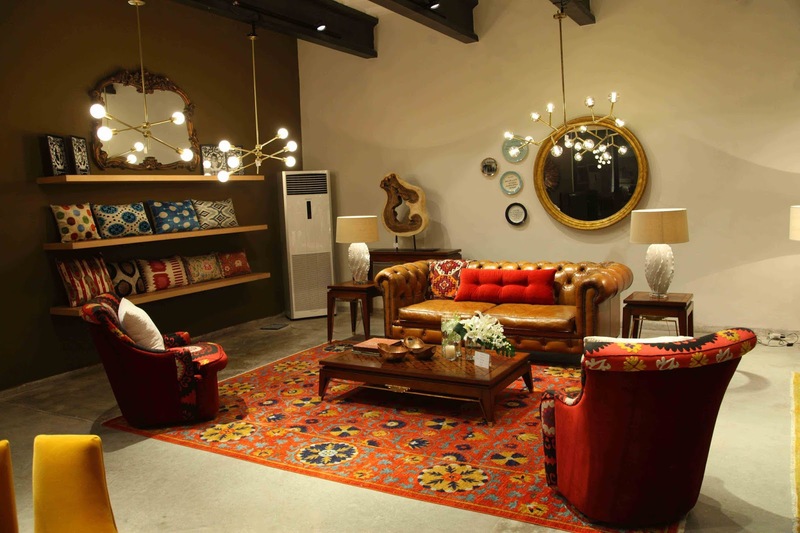 Credited as a pioneer in organized manufacturing not just in Pakistan, but the world over, today, the brands products can be found on principal floors across the globe, including Bloomingdales, Safavieh, and ABC Carpet & Home to name few. Speaking about new home-line, Ahmad Abbas Mirza Creative Head, Abbas Corporation (parent company of ABBAS CARPETS & ABBAS HOME) said “Being ahead of the curve is a perpetual struggle; it requires innovation, a think-out-of-the-box approach, as well as an unrelenting need for change – all the time. It took years of research, as well as multiple trips abroad, to get acquainted with some of the most prestigious sources of home-décor products. Given that a handmade carpet almost always ties an entire room together, we wanted our home-décor collection to provide a similar experience – a seamless product ahead of its time”. 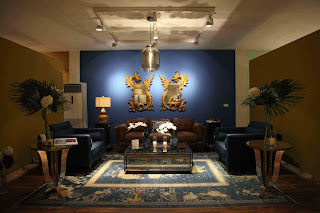 Founded in the 1970s, ABBAS CARPETS believes in a sense of contemporary, timeless luxury that can withstand the ages. Their intricate designs are a merge of classical and modern, all the while maintaining great practicality. From majestic hues to vibrant accents to elaborate patterns and fusions of color, ABBAS CARPETS has taken the contemporary and fused it elegantly with today’s consideration of modern palettes of home décor. ABBAS HOME’s latest collection will be available for patrons from 16th November 2018 and onwards.